INTO THE WILD: Jinja Safari. If you have not heard the music of Jinja Safari, their name may conjure an image of wild African plains. A listen to their first two EPs, Jinja Safari and Mermaids & Other Sirens, would further suggest a band influenced by the sounds of distance shores. But while the Sydney-based five-piece were gaining notoriety as a memorable live act and having their fusion of tribal rhythms, folk and pop played on national radio, its principal songwriters felt they needed further education in the sounds of their namesake – the city of Jinja, Uganda. So singer Marcus Azon and keyboardist Cameron “Pepa” Knight embarked on information-gathering sojourns to the far corners of the globe, to bring an authenticity to their music. The sounds of their travels permeate the 12 impressive tracks of their self-titled debut record. Perhaps unavoidably, given the record’s influence, it echoes of Paul Simon’s Graceland. The kinetic, layered and lush songs on Jinja Safari are alive with percussive energy. And the album’s finale, Bay of Fires, might create numerous images in the mind’s eye of the listener, but it holds a very specific memory for Knight. 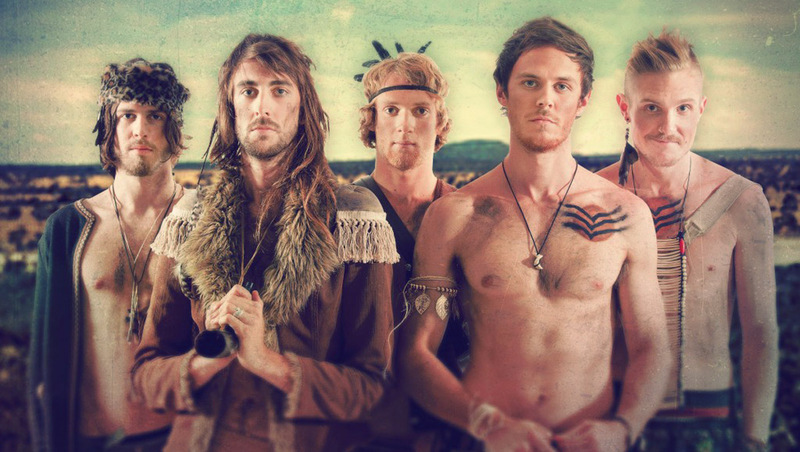 Knight now feels Jinja Safari have the authority to carry their African-inspired band name. “We’ve been so inspired by world music, so to be there and see it all felt a bit more organic than a bunch of white guys just trying to write Afro-pop tunes,” he laughs. The Islamic call to prayer was travelling over the Yamuna River and it was such a beautiful and eerie experience. I took it home, warped it, looped it, and put chords under it. I remember listening to this on repeat for over an hour in the studio and it put me in a really peaceful meditative trance. Jinja Safari, which also includes drummer Jacob Borg, bassist Joe Citizen and Alister Roach on percussion, have experienced a very steep rise in popularity. The band’s genesis came from a chance meeting between Knight and Azon in 2010. While every member has contributed to the final sound of Jinja Safari, Knight was also the record’s producer. He admits that this adds to his sense of responsibility. As for what direction the band’s pop music could move in from here, Knight is as in the dark as his audience.